Catholic Fried Rice: Partying "DC Catholic" style! Tonight I went to a young adult Mass of the Archdiocese of Washington given by our very own Cardinal Donald Wuerl. Remember the first time you ever saw a bishop? My first time was my sophomore confirmation in North Carolina, and I remember thinking the guy in the big hat must be a big deal. I will say though tonight I got to experience a lot of firsts with my new Catholic homeboy of the district. I was just going to find a seat near the back, but I just so happen to run into my man Mike O. where his posse was saving him a seat. Yes, I am VIP, er, friends with a VIP thank-you very much. To be that close to my man Wuerl as he held the Eucharist was already worth my trip. Standing in line behind Mike (who's at least a foot taller and broader than me), I was just in the middle of trying to be prayerfully ready as Mike moves to the side and who do I see? Boom--- the Wuerl-er himself. We...just made eye contact. Man of such powerful eyes. And as he placed Jesus on my tongue, I took note that we just shared an intimate faith-filled moment there. I just received Jesus from a cardinal, a man who voted for the Pope, nbd. OK, this made my trip. 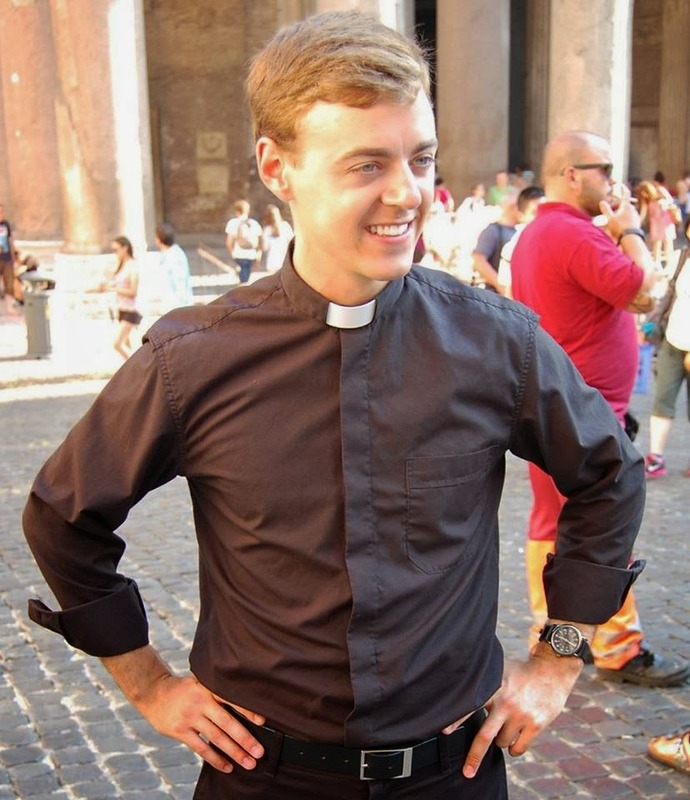 First Experience #3: Wait, Matt, you got to meet Cardinal Wuerl? Yes, yes I did. The man is so cool, he stuck around and shook hands at the back like any good 'ol priest would. You have to understand, people travel hundreds of miles to see their bishop, people kiss the hands and rings of bishops (which I forgot to do). This guy's a big deal, and we got to shake hands. And we talked. I complimented him on his homily, how he noted a letter he received from a 4th grader who was astonished that he (Cardinal Wuerl) must've known someone, who knew someone, who knew someone (and on)...who knew someone who knew Jesus. What a powerful, message, right, if you think about it? I thought about my own mom, who knew her mom, who knew her mom, who generations ago knew a Spanish missionary who came to the Philippines, who knew another man, and another person generations later who knew someone near the Holy Land, who heard the teachings of Paul, to a guy who actually knew Paul, who knew Jesus all spreading back 20 centuries ago. Kind of blows my mind. OK, so this really made my trip. And if the night couldn't get better, I headed to the after-party that stayed true to its promise of free food (great jerk chicken), cash bar, and live music. Shout-out to my man J-Lew (the Jonathan Lewis) for getting this show off. Very impressed. A good diverse group of 400+ young adult Catholics were attendance? Say word. Or should we say, Say Wuerl? Got to meet a lot of great folk (and see some familiar faces). From sharing Central American service stories to meeting guys interested in the book, probably the turning point of the night was when salsa music came on and I couldn't pass. I'm not sure what beats my love for the actual food, salsa music gets my knees going that four step where all I can think is: "must. dance." With my lovely wife not around, I basically go for anyone who will dance with me, and luckily my new friend John got us dancing with some new-found-friends across the room. I gave my salsa tricks (should I say it?) a "Wuerl", having friendly fun on the dance floor. This is a shout-out out to my FrancisCorps peeps who I lived with in Costa Rica and took those Thursday night classes with. They're coming handy now! The dance moves caught the attention of my new-soul-friends, and hey, I might get to salsa more in my near future. Anyway, it was a blessed night. 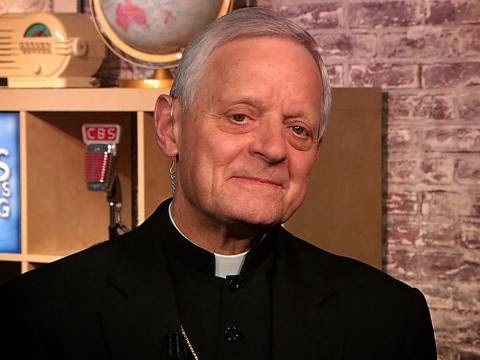 A "Wuerl"d of opportunity, actually. A real shout-out to my main man Cardinal who I actually do have utmost respect for. Thanks for the memory. Partying it up DC Catholic style!